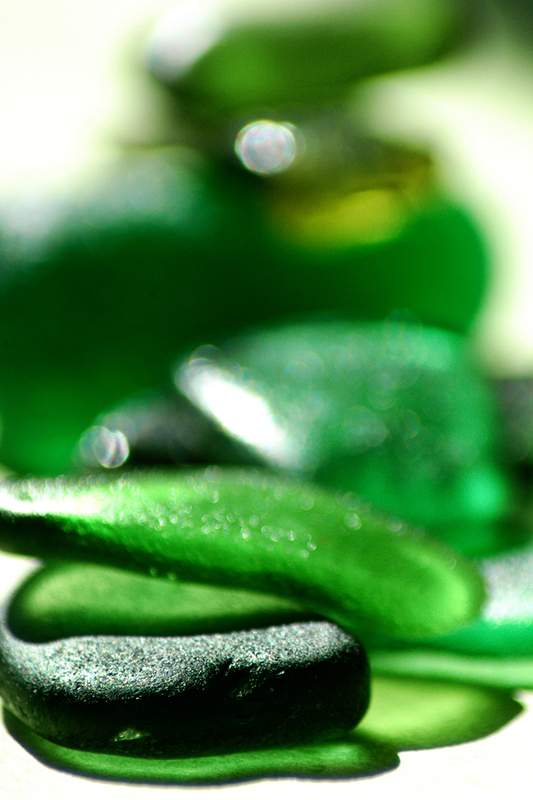 Macro Green Sea Glass + Why Do Canadians Get Ripped off with Shipping Rates? So I had half an hour today to fiddle around with the new 90mm Tamron lens. I was hoping for some sunshine to light up the glass, but the clouds wouldn’t leave. Meantime on the jewelry front, I placed an order with RioGrande.com. But then I found out they wanted to charge me a whopping $22.90 shipping on a few pinch bails, some wire and some drill bits – and that was USPS slowest possible. Outrageous . If that isn’t gouging, I don’t know what is. I told them to go bag it and off to Artbeads.com I go, which only charges $1 shipping to Canada. Also on the jewelry front, finally drilled some glass tonight. We made a mess on a few of them. I was over confident and picked some of my nicer pieces to drill. Drill and learn. I’m pretty astounded at the amount of sickeningly beautiful Victorian sea glass pottery comes out of the U.K. Check out this current listing on eBay. Drool. Look at those gorgeous colours and patterns! 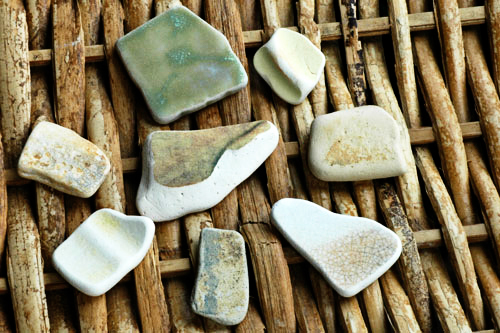 Lake Erie cannot, will not, nada nada nada compete in the realm of ornate sea glass pottery. I’ve only found a small handful of dinnerware pieces. 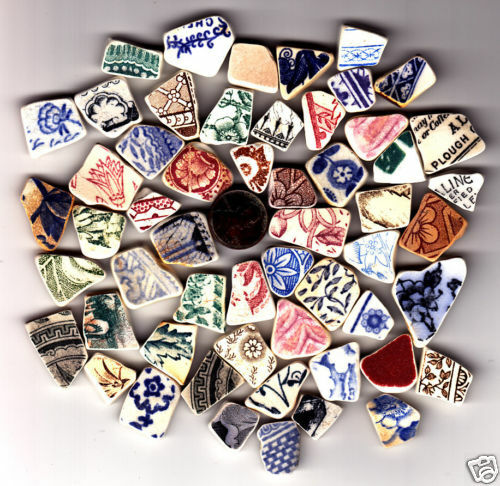 That said, it does kick up a few fine rustic shards of earthenware pottery. 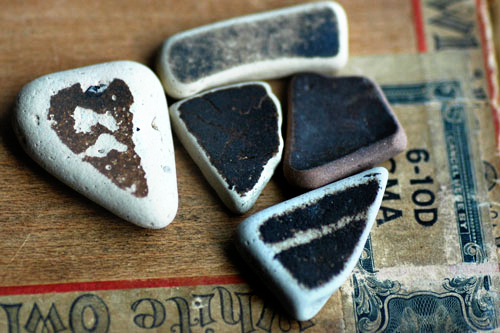 I quite like the simple, water-beaten shards that I have found. Very earthy. I think they will make some fine jewelry. 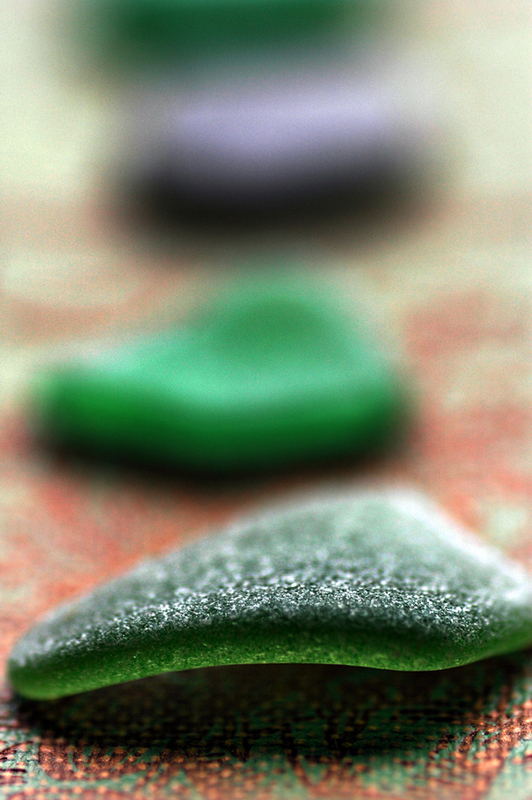 Here are some photos I took today of some of my sea glass pottery. So, there I was vaccuuming the house today and daydreaming about the beach. Sure it’s November and the sky is battleship grey and the temperature makes my fingertips feel like icicles and the wind is raw and stinging. Sure, I have more sea glass than I know what to do with. Just get me to the damn beach. I went yesterday with my mother and my four year old. My mom was getting over a cold and my little one’s hands were frozen, so we only stayed for half an hour. I felt like I was being pulled away from really great book – just at the part where it gets extra good. But sometimes selfish wants are trumped my more important things … like keeping the peace (not the piece…hahaha). As the weather gets increasingly cold, I’m wondering if my kids will find our little outings miserable. If so, should I abandon the outings until spring, or do I help them overcome the cold and find joy in our winter adventures? I shall take the latter approach and see where it takes us. Really, it’s all about having fun. 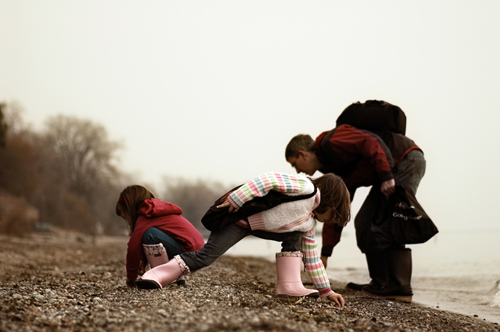 I want my kids to have pleasant memories of our trips to the beach. To me, that’s the most important thing of all. I’m a little afraid. It’s the same feeling I get when I’m third in line for a very large, and serpentine roller coaster ride. It’s that “there’s no turning back” feeling. That’s how I feel about making sea glass jewelry. Part of me is giddy with excitement, and part of me is feeling overwhelmed. ‘What in the hell am I getting myself into?’ is a manta I seem to be repeating a lot these days. So to appease my anxious brain, I have decided to make a pros and cons list. This list pertains to me. Your pros, your cons might be vastly different than mine. It’s creative. I am creative. 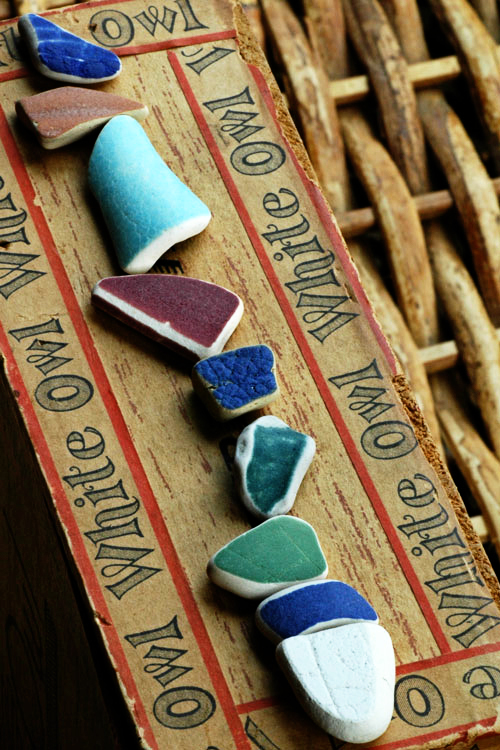 It will give me an excuse to collect more sea glass. 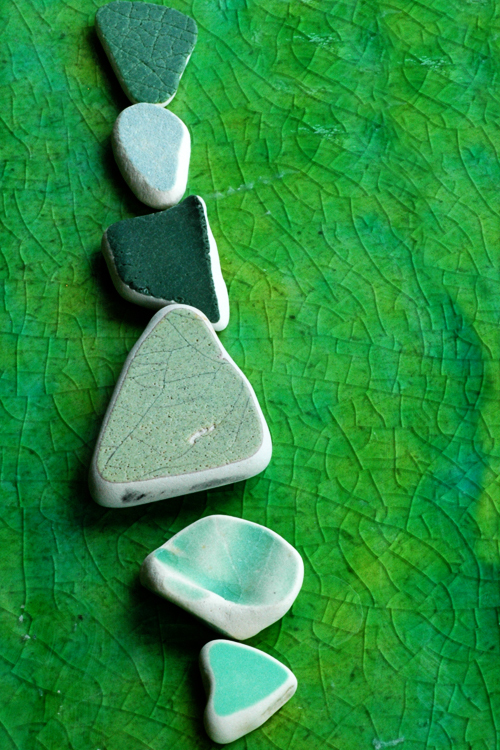 It’s a great way to showcase some of my sea glass beauties. Sea glass jewelry is beautiful and I love wearing it. It makes an awesome handmade gift. It will give me more opportunies to hone my photography skills. Brides will love it and I can sell it on my wedding website. It doesn’t require a huge investment. It’s a skill I can share with my daughters as they get older. It’s hot with consumers and hasn’t yet reached the tipping point. It will be a steep learning curve. I will have to invest more money to make it happen. I have many interests and will have to get creative to make time for it. Just like the photo above, it will be a balancing act. I’ve never make jewelry before. It will take time and energy to market the jewelry. My arts and crafts room is already jammed with materials. I will have to keep it organized. Four months ago I hadn’t even considered making sea glass jewelry. Sure, I thought it was pretty and I wanted some of my own, but the idea of making it wasn’t on my radar screen. Not that it wasn’t appealing, it’s just that I already have 25 irons in the fire + two little girls that own my heart and a very good portion of my time. Then I went to the Sea Glass Festival in Erie, Pennsylvania in October – and presto mundo, I saw the light. Squeezing my way through the hoards of men and women buying sea glass jewelry was a real eye opener. People dig this stuff. I mean, I dig it too – in a big way, but who knew where were so many crazed fans? I got back to the hotel and had a little heart to heart with my hubby. “So we have this large collection of lovely sea glass and it’s just sitting in mason jars. Hmmm,” I said. “Let’s go get a Dremel,” he said. In half an hour we were on our way to Home Depot to pick up our drill, then off to Rona to get our drill press. It sat idle in our basement until last night when we had our first drilling session. The Youtube video captures the entire enthralling experience!!! (I realize that most people will probably get to the 30 second mark and get up for a bathroom break), but I wanted to capture the entire event in real time. I am going to document every step of the way in my jewelry making journey. From learning to drill, to making my first jump ring. I hope some of you will come along for the ride – and if you’re new at this, learn along with me. You know you’re in deep when you forgoe the latest juicy novels for books on the origins of glass. Yes, I’m afraid that’s what happening. I took out two books from the library – both on glass. Did I ever think I would give a monkey’s arce about what glass is made from? Or where it originated? I’m the artsy type. Very unscientific. But that’s what sea glass has done to me. It’s enraptured me. I just want to learn more. All the time. The more I know, the more I appreciate. Next thing you know, I’ll be hanging out with 70-year old men at bottle shows, chatting about antique mason jars and milk bottles. Yes, I can see it in my future. I found the Holy Grail. Ruby red. Fully cooked. And a good size. And guess what? I so wanted to share my discovery with the world, but my Tamron zoom lens broke. On a positive side, I’ve been eyeing a new macro lens for months. Finally I have an excuse to buy it. 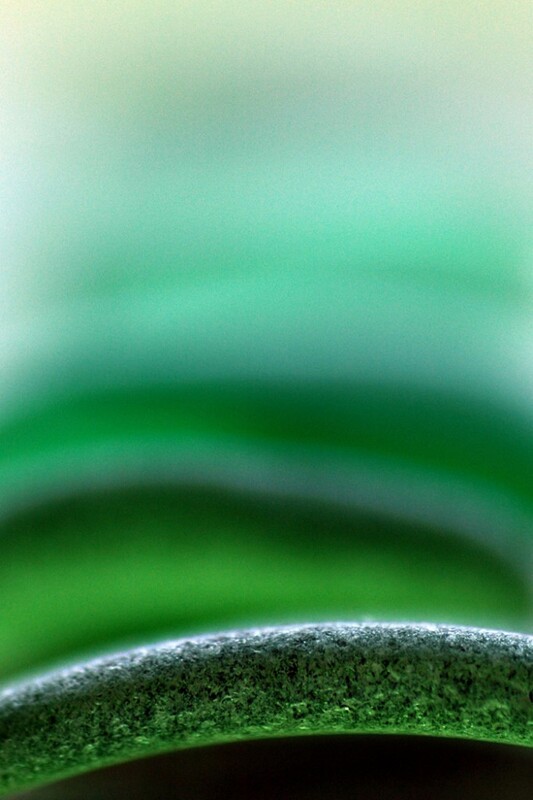 I’ll have to forgoe vacations for the next year, but at least I’ll be able to take amazing macro shots of sea glass. So, until I make my purchase, you’ll just have to take my word for it that it’s a beauty. And because I can’t write a post without including photos, here is a shot in black and white. 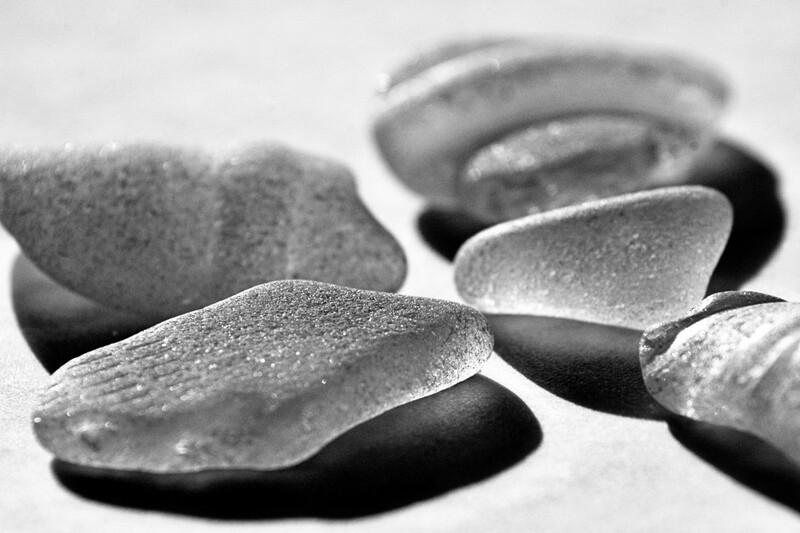 It’s really uncommon to find photos of sea glass in black and white. 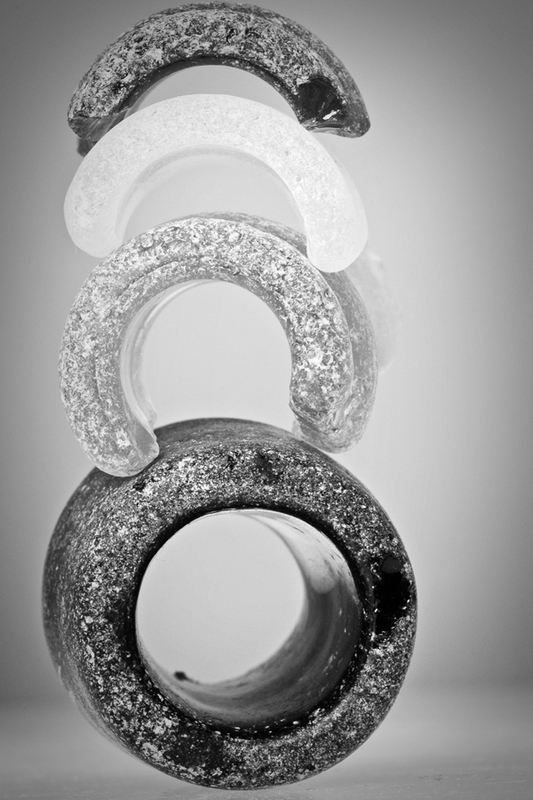 I think white sea glass is especially photogenic in black and white and I can’t wait to experiment more with b & w using my new lens.